The Wardrobe Wake-up Challenge is a step by step guide to help you clean out your closet. Over two weeks you will receive a daily emails, instruction videos and worksheets to help you fall in love with your wardrobe. These do it yourself guides are designed to get you back in touch with your style and develop an inspiring wardrobe. Some wardrobes can either be underwhelming or overwhelming. This Wardrobe Challenge is designed to help you create the perfect balance. Looking back to the days before I was a stylist, I always felt limited for choice. When I opened my cupboard doors, I'd feel completely underwhelmed. My wardrobe lacked options and contained mostly pieces I never wore. In the years since becoming a stylist my wardrobe became the opposite, I turned into a hoarder (although I prefer the term collector haha). I was hanging onto to everything, not wanting part with items I hadn't worn in years. I made excuses why I couldn't throw anything out out. I know I've only worn it once but maybe I'll wear it again. This challenge was created after I'd committed to cleaning out the skeletons in my closest. It's been life changing to feel free of all the items that were hanging around, wasting space and haunting me. Certain pieces were holding me back, they stopped me from growing and developing my own style. Now I continue to clean out my wardrobe at least twice a year and invite you to do the same by joining the challenge. You can have an abundant wardrobe, that inspires creativity in every corner. 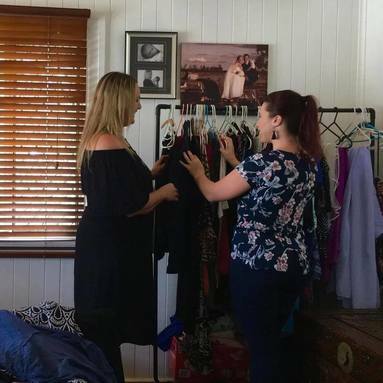 During the Wardrobe Wake-up Challenge I will share with you what I have discovered about creating a wardrobe that works. These techniques have worked for all my clients and I trust they'll work for you too. 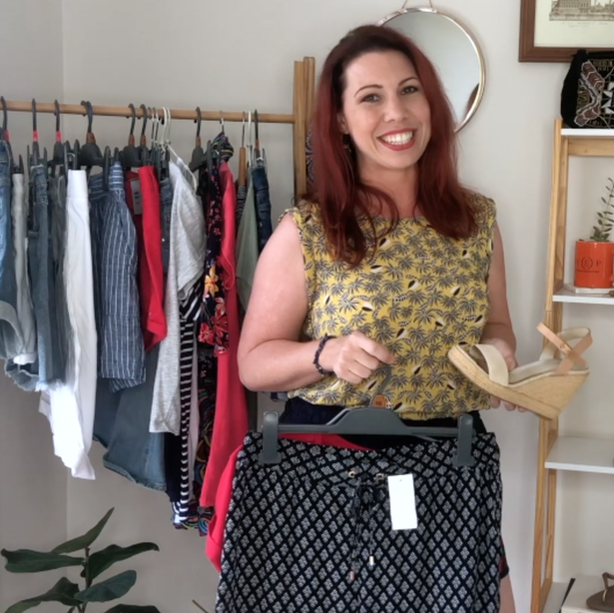 I'm looking forward to helping you become free of all your clothing and accessory clutter and create a space that takes you to wardrobe heaven. Q: Will I have to get rid of everything I own? A: Ah ahh, this is about shopping in your own wardrobe and creating outfits from unexpected combinations. Q: Do I have to spend hundreds on a new wardrobe? A: It's up to you ;) There might be a few pieces you'll want to replace/add, these can be adapted to any budget. Q: Can I do the Challenge even though I'm not based in Cairns? A: Yes, you are welcome join the challenge wherever you are in the world.